We Design and build gardens & landscapes from concept to conclusion with dedication and passion. Our Landscape Design service includes the very highest standard of workmanship to meet your requirements. We work throughout Doncaster and the surrounding villages. Before starting on any design we will meet you to discuss the design brief. This will allow us to put a bespoke plan together and include any specific elements that you would like to include in the garden design. We are an independent Landscape Gardening company that has built our reputation on hard work, honesty and reliability. 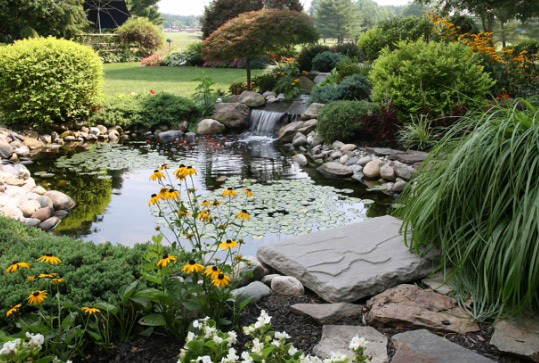 We also offer inspired garden design and general gardening services to meet your needs. Our garden design services include one-off consultations to full garden designs and installations. We combined our expertise, artistic talent & broad knowledge to design a garden that you will love, that meets your personal or commercial requirements and reflects the style and budget.